ORLANDO, Fla. – D’Angelo and the Vanguard will lead their way to the House of Blues, on Oct. 5. The tour will begin on Oct. 1 at Carnegie Hall in New York an conclude on Nov. 8 at Fun Fun Fest in Austin, Texas. D’Angelo is the vocalist, Chris Dave is the drummer, Pino Palladino is the bassist, Jesse Johnson and Isaiah Sharkey are the guitarists, Kendra Foster, Charles “Redd” Middleton and Jermaine Holmes are the backup vocalists and Cleo “Pookie” are the members of D’Angelo and the Vanguard. “Black Messiah” will be promoted, on the five date tour. The album consists of 12 tracks including: “Ain’t That Easy”, “1000 Deaths”, “The Charade”, “Sugah Daddy”, “Really Love”, “Back To the Future (Part I)”, “Till It’s Done (Tutu)”, “Prayer”, “Betray My Heart”, “The Door”, “Back To the Future (Part II)” and “Another Life”. Many musicians including D’Angelo’s touring bandmates assisted with the production of “Black Messiah”. Others include: Spanky Alford, Mark Hammond, The Roots’ Ahmir “?uestlove” Thompson, Roy Hargrove, James Gadson, Chris Dave and Ahrell Lumzy. It was conducted by Brent Fischer. It was mixed and/or engineered by Russell Elevado, Ben Kane and Tony Rambo. Alex De Turk mastered the vinyl version and Dave Collins mastered the rest of the other formats. The album, “Black Messiah”, was released in Dec. of 2014. A 15 second snippet was shared on YouTube via his manager, Kevin Liles. The lead single “Sugah Daddy” was the lead single, premiered on Red Bull’s “20 Before 15” website and it was downloaded 1,000 times. On the 15th of Dec., the album was released digitally to the general public. After it was released, the first week numbers revealed it reached number five on the Billboard 200 charts and sold 117,000 copies in the U.S. 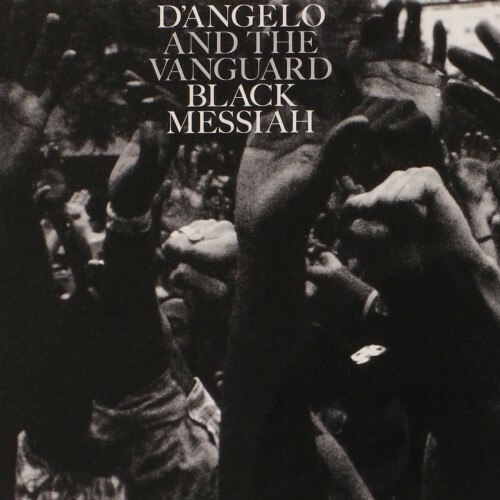 Internationally, “Black Messiah” debuted on the charts ranging from number one to number 50. Reviews ranged from near perfect to perfect scores through a variety of publications including: Chicago Tribune, Metacritic, Mojo, MSN Music, NME Magazine, Rolling Stone, Slant Magazine, The Guardian, The Barnes & Noble Review, The Independent, The New York Times, The Times, The Village Voice and The Washington Post. To visit D’Angelo website, please click here. To like him on facebook, please click here. To follow him on Twitter, please click here. To subscribe to his channel on VEVO, please click here. To subscribe to his channel on YouTube, please click here. Oct. 05 - House of Blues Orlando, Orlando, Fla.
Oct. 06 - The Fillmore Miami Beach at Jackie Gleason Theater, Miami Beach, Fla.